Jan. 21 marks the release date of I (review here), the debut album from Spanish psych-prog four-piece Híbrido. It’ll be out through Spinda Records and is aptly-named both in terms of being the band’s first release and for their being a hybrid of influences and ideas. The lineage is complicated, but Algeciras, where the band is based, has played host to a heavy rock and psych scene for decades spearheaded in no small part by Híbrido‘s members. Guitarist Jose Angel “Oceano” Galindo and bassist Jose “Pot” Moreno played together in a group called Viaje a 800, who released their final studio album, Coñac Oxigenado (review here), in 2012. Moreno would go on to form Atavismo with drummer Sandri Pow, who had also played in the space-rocking Mind!. 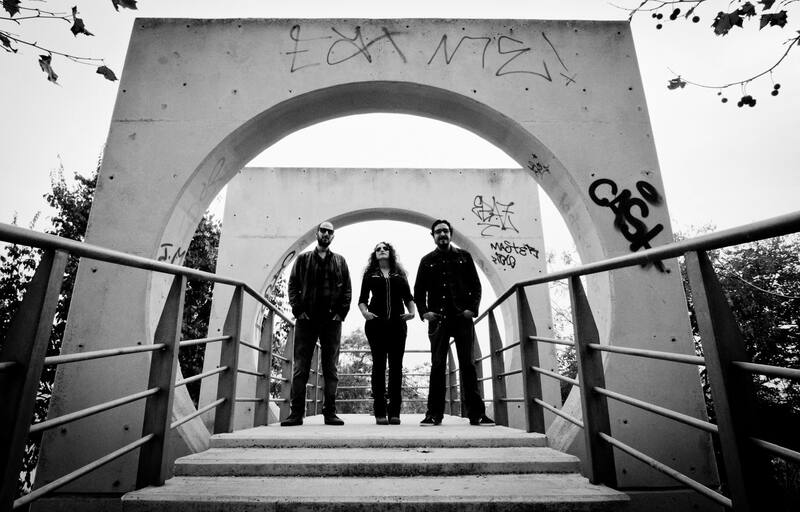 If you haven’t heard them, Atavismo‘s releases to-date — 2018’s Valdeinfierno EP (review here), 2017’s Inerte (review here) and 2014’s Desintegración (review here) — are increasingly progressive gems that presage some of the ground Moreno, Pow and Galindo cover as well in Híbrido, working alongside Los Bradlys guitarist Zoa Rubio. and that’s in the harmonies of the Floydian apex of the 13-minute “Le Pilules Vertes” as well as the quick turns and the fuzzy hook of “Nada, Nadie,” which follows the previously-premiered opener “Pensando en un Eco de Instinto Interior” that unfolds such a sense of progressive tonal warmth in the guitar and bass and the fluidity of the drums pushing them along their plotted course. As side B comprises just “Les Pilules Vertes” and the accompanying 10-minute closer “Ente,” there’s a bit of a dual-personality for the record, but that too adds to the sense of their aesthetic being (perhaps willfully) unsettled. The closer, even more than the shifts in sound between centerpiece “Escarlata” at the end of side A and what follows in the second half of the album, is most indicative of all of the breadth Híbrido are harnessing, and while everything before it might be seen as at least in line with what the members have done before — that is, I has its own identity, but shares aspects in common with past work of the players involved — “Ente” takes a stark turn, changing from the dreamy clean vocals to a harsh, black metal-style rasp in its second half. To complement this, the track has a particularly progressive feel in its guitar work, moving from a tense forward push to nuanced classic-prog winding that remind of some of the math Opeth once did in combining elements of extreme metal and ’70s-style progressive rock. It’s a shocking moment on an otherwise peaceful I, and a surprise that leaves one curious as to just where Híbrido might go from there in terms of their sound. That’s one of the best impressions a band can make on a debut, to establish a foundation of quality craft and remain unpredictable, and I wouldn’t dare guess what another release — perhaps called II — might do to build on what I brings to bear. Really. It happens at about 7:40. The first time I heard it my brain didn’t believe what my ears were telling it. Although I isn’t officially out until Monday, of course Spinda has it available to order now, and I’m thrilled to be able to host the album streaming in full. Yeah, I did the premiere for the opener before, but I think this is a special case where going deep and really hearing the record front-to-back is entirely warranted. I hope you agree and I hope you enjoy. 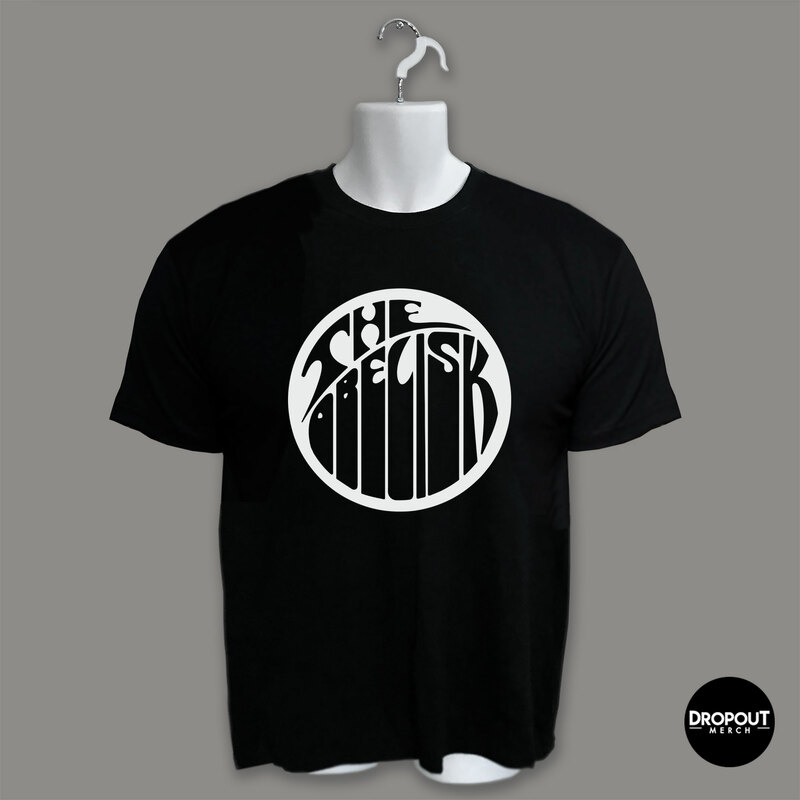 Heavy Psych & Alternative Rock from Algeciras (Spain). Including members of Viaje a 800, Mind!, Atavismo, Medicina & Los Bradlys. Recorded, mixed and mastered at Trafalgar Estudios by Curro “Snortil” Úreba (El Palmar, October 2017). Artwork by Antonio Ramírez (Mentes de Ácido). 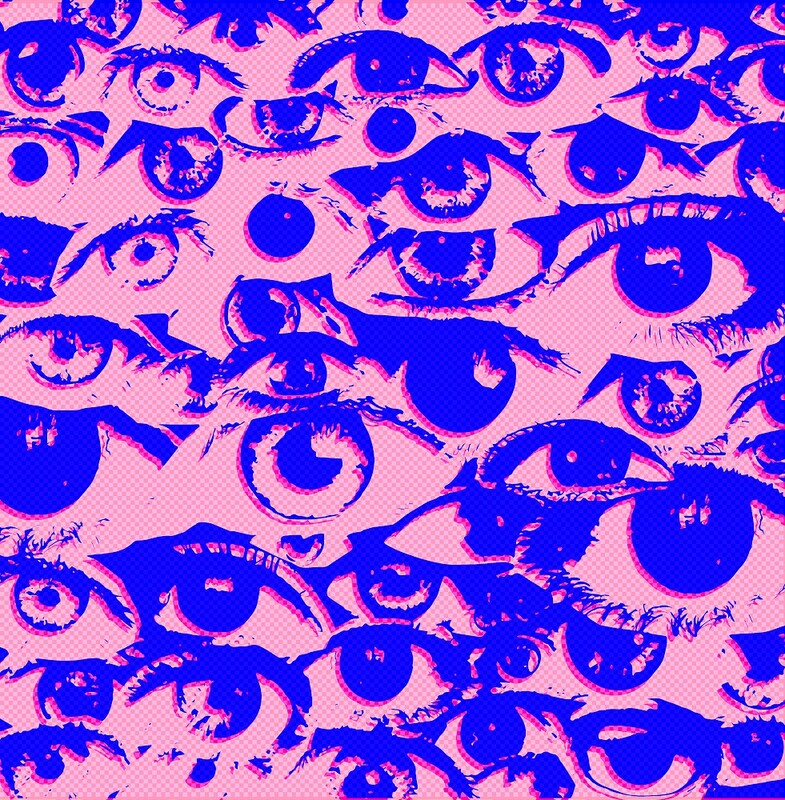 gradually escaping with brain matter and, I don’t know, maybe your eyeballs if they’re not too wrecked by the shimmer. The dug-in grunge of “Hermanas” and the indie-vibing opener before it “Infarto Juvenil” give a distinctly ’90s-inspired presentation, but the production itself isn’t dated and there’s not so much as sense of the band trying to recapture something long-since lost as interpreting their own take on that spirit. Some of the record’s most effective moments are in its mellower stretches, “Sobredosis” or the extra-bassy “Ensamble,” which though it puts the low end in the forward position mix-wise, uses that extra space for some post-rock expansion in the lead guitar. As the finale, “Histamina” follows the push ‘n’ wash of “Soluble” with whatever space rock might be if it was exploring the ocean instead of the outer reaches of the cosmos. Or maybe it’s just some watery planet in some far off star system? Either way, it brings together the intense thrust of motorik rhythmmaking with something still definitely gravitational, and by the end, shows itself to be winding off in a direction all its own. So it may be the case with the band (here’s hoping), but the nuance of their approach shouldn’t be lost as one calls out this influence or that. Make no mistake, the highlight of Turboacido is in how Medicina take these elements and own them outright. “Histamina” was directed by Juanjo Crespo and goes wild on some footage that may or may not be in the public domain. Second preview of our first lp turboacido, which will see the light on February 22, enjoy and share the “Histamina.” Video Realizado por Juanjo Crespo. Medicina is a trio formed at the beginning by Alberto and David, veteran musicians of the local scene in South Spain (They’ve playing together since the early 90´s in several bands like Ballet Violencia, Xudor Barato, among others). David Ruiz was the drummer in the well known stoner rock band Viaje a 800 (from 1996 to 2008), and also in Buenamuerte Trío (From 2010 to 2013); After multiple line-up changes, Jose “Pot” (Viaje a 800, Atavismo…) finally joins the band as bass player in 2018. Grunge meets heavy psychedelia and straight-ahead rock in the expanses of Medicina‘s first long-player, Turboacido. Arriving Feb. 22 through Mei Lei Bel (say it out loud), the 10-track/45-minute LP is lush in tone and patient in delivery, but ultimately clearheaded about what it’s looking to accomplish in terms of songwriting. 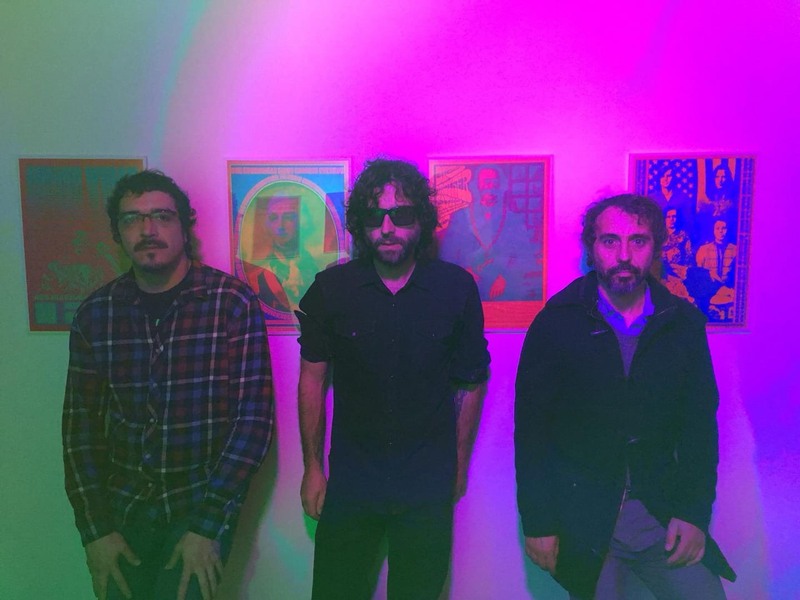 As the Algeciras-based trio features two former members of the defunct Viaje a 800, there’s an immediate level of interest, but Medicina — who have three EPs out dating back to 2015 — are quick to distinguish themselves in moments of all-out ’90s reimagining and the occasional bit of footgaze, which is like shoegaze, but with x-ray vision. They’re not cosmic-averse either, which is fortunate since that’s where closer “Histimina” seems to be heading at full impulse speed. That track caps side B, but if you want to hear the one that does likewise on side A, you can stream the clap-along-worthy “Pirotecnias” on the player at the bottom of this post. Mei Lei Bel has preorders starting on my mom’s birthday (it’s what every mother wants), and you can find more background on the band and their noble mission below, courtesy of the PR wire. It’s right under the art, which is looking directly at you. Release Date: 22/02/2019 (Pre-Orders will be available January 4, 2019) (Mai Lei Bel, Austria) (https://maileibel.bandcamp.com). – Recording Info: Recorded and Mastered by Curro “Snortil” Ureba at Trafalgar Estudios (El Palmar-Vejer) during August/October 2018. Produced by Medicina & Curro “Snortil” Ureba. 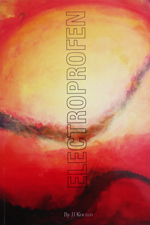 They have 3 EPs (self-released), the last one called: #3 includes new incursions in another music genres not previously explored as Ambient and Dub. They have announced a LP called “Turboacido” that will be released by the Austrian label Mai Lei Bel Records next year 2019. 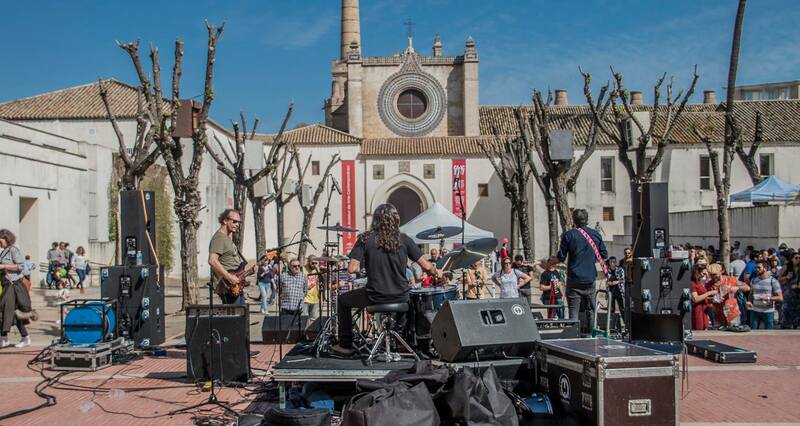 Talking about live shows, they´ve been playing in several places of their country with bands such as Atavismo, Cowboy Lovers, and many others ; also played at festivals such as the Picnic Intestelar in Seville among others. Nowadays they´re preparing themselves for a next Tour during 2018/2019, due to the presentation of their new upcoming LP. Meanwhile….they keep experimenting in their laboratory. Think of it more like galaxy rock than space rock, because to some degree, space is chaos and galaxies, at least viewed from the unfathomable distances we see them, have shape, order. 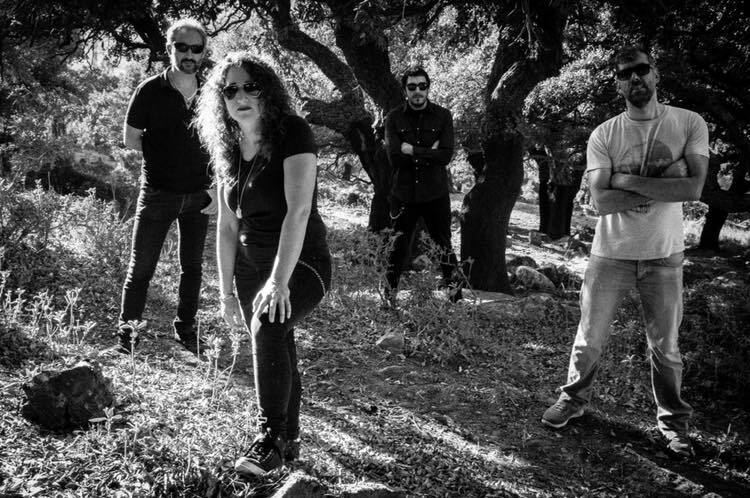 So it is with the progressive psychedelic heavy rock brought forth on the debut album, I, from Andalusian four-piece Híbrido. The arrival of said LP might seem pretty quick, as it was only last month they announced signing to Spinda Records, which has also released records for related outfits, but the truth is Híbrido have been bubbling under the surface for at least the past four years in one form or another, and the moniker could hardly be more appropriate given the breadth of influence which the five-track/46-minute debut showcases, with vocals handled by all four members of the band — guitarists Jose Angel “Oceano” Galindo (ex-Viaje a 800) and Zoa Rubio (Los Bradlys), bassist Jose “Pot” Moreno (Atavismo, ex-Viaje a 800) and drummer Sandri Pow (Atavismo, ex-Mind!) — and a lush depth of sound that’s as gorgeous melodically as is it is malleable in presentation, shifting between Floydian pastoralism and coastal vibes from their native Algeciras. 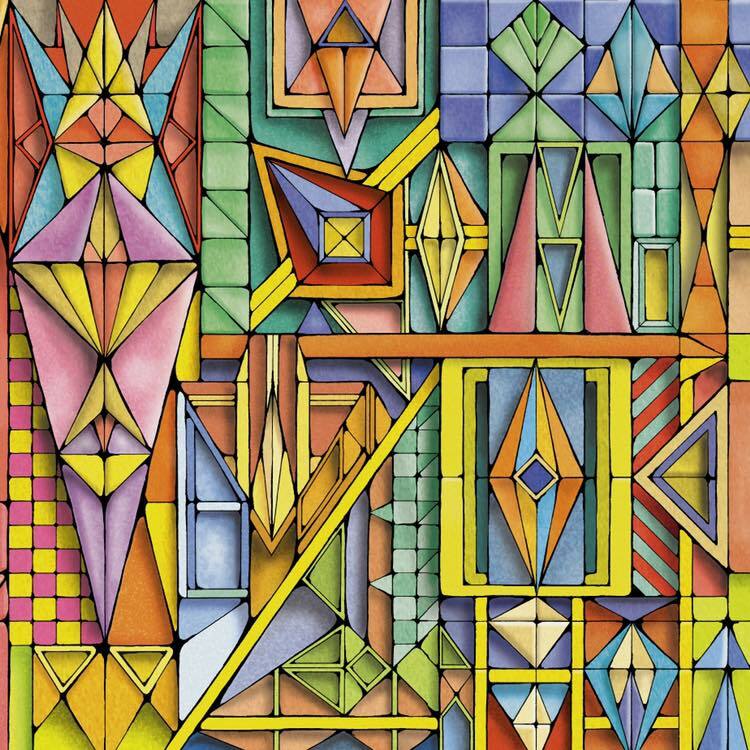 Those familiar with the work of the much-loved Atavismo or the defunct and much-underrated Viaje a 800 will find recognizable elements at work throughout, but the form that Híbrido‘s work takes is distinct nonetheless. To wit, the back and forth interplay of lead guitar in the 13-minute penultimate track “Les Pilules Vertes,” which by then has already unfolded nearly 10 minutes of proggy exploration, or the heavy, choral push in the hook of second track “Nada, Nadie” that follows the opener “Pensando en un Eco Instinto Interior,” which gracefully sets its bed on the bass and drums as the guitars set an airy atmosphere for the increasing echo of the vocals. Balance is the key. Think of a hybrid plant. They’re bred for specific characteristics, and in that way, Híbrido function much the same. Each member of the band brings something of their own to the proceedings, and it’s in the blending of those aspects that the personality of I is cast. “Pensando en un Eco Instinto Interior” makes its way into a hypnotic apex of winding lead guitar, reverbed vocals and energetic drum crash, but that it fades out should say something about the mission overall of Híbrido in that it’s less about where any individual piece ends up than how that piece contributes to the whole of the album. In that way, the record too is a hybrid of sorts. Following “Nada, Nadie,” centerpiece “Escarlata” brings together weighted low-end push with vocal harmonies and what I can only call an Andalusian shuffle, insistent rhythmically but still ultimately mellow enough to make a natural shift into the guitar/Mellotron-led second half. Soon enough, that leads to the heavier, fuzzier start of “Les Pilules Vertes,” but that’s only the first of many sides that song has to offer ahead of the 10-minute closer “Ente,” which takes a more rocking approach early and surprises after passing the 7:30 mark by including black metal-style rasping vocals amid all the surrounding melody. They’re deep in the mix, but they’re there. I’m not imagining it. And they immediately change the context of the album, which ends with held out notes and a swipe of fingers on strings, to give a natural, in-studio feel to the curious last impression the band makes. Does anything really go in this galaxy? The way those screams are handled, they’re almost snuck in at the finish, and the message seems to be that Híbrido aren’t interested in constraints, and they’ll no more be bound by genre lines than they will by the expectation built from their own songcraft or past work. Fair enough if it works, which oddly, it does, both to be willfully jarring and sonically cohesive. But that’s the message of I overall, in case the point hasn’t been made: That these various sides can come together and create something new, finding new forms of resonance along the way. I don’t have an exact release date for the album, and they’re not revealing the cover art yet, but keep your eye on Spinda Records for preorders and whatnot, and I do have the pleasure today of hosting the premiere of “Pensando en un Eco de Instinto Interior,” which, as the first track on the LP and the first audio made public from it as well, is a great way to get yourself introduced. And you want to be introduced. Sandri Pow was kind enough to offer some comment and you’ll find that as well under the player below. 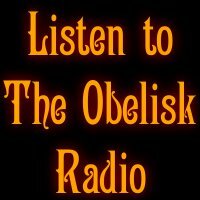 The progression of this track brought some kind of balance to the whole record; a persistent and effective bass leads the rhythm this time, taking the hand of the drums, while both guitars dance together, combining an smooth and intense playing, changing in every moment…pure prog, rock, delays, and psychedelic lyrics. There isn’t any audio yet to share, but you’re going to want to watch out for this one. Híbrido‘s debut album arrives after a year-plus of murmurings about a side-project from Poti and Pow of Atavismo that reunites the former with his ex-Viaje a 800 bandmate, guitarist Jose Angel “Oceano” Galindo, and now it’s announced that the record is mostly done and will see release through Spinda Records sometime in the coming months, presumably in the New Year. I don’t even have track titles yet, but its centerpiece is a 13-minute jam that goes from fuzzy roll right into prog-psych wash with a fluidity that’s nothing short of splendid. Again, keep an eye out. 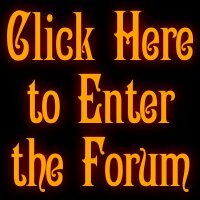 Have you ever been onto something very big and that very little people know yet? We do, the feeling is brutal and soon we will give you all the details… at the moment we can only advance that the algecireños Híbrido join the #spindarecords family for their debut debut. And who are Híbrido? Very Easy, cream of #lanovena: Poti (Atavismo, mind!, Viaje a 800), Zoa (the bradlys), José Angel (Viaje a 800) and pow (Atavismo, mind! ). Almost done! Four years ago we started a beautiful project, which took us to see the light as it deserves, but… today is a reality. 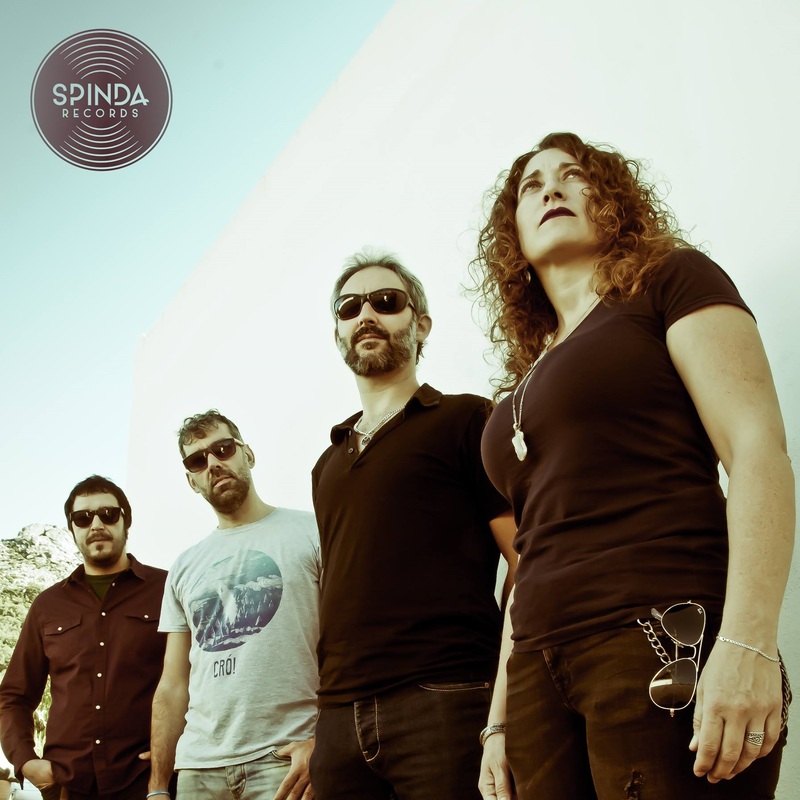 We are excited to announce that Híbrido will release our debut album with Spinda Records, who has trusted us to get our musical manifesto, that in which we have so much effort. Thank you infinite. This has just begun, little by little you will discover what we are… soon in your ears! True to form, even a short release from Atavismo has a pervasive sense of atmosphere. The Algeciras, Spain, band blew any and all minds willing to follow along with last year’s Inerte (review here), and to be perfectly honest, I’m still a little up in the air as to whether Inerte was their full-length debut or a sophomore outing after their first release, which was 2014’s Desintegración (review here). As it’s comprised of four central tracks, Valdeinfierno, which is their new ostensible extended-player and debut on Adansonia Records, shares some structure in common with that first offering, but the palette has grown exponentially. It’s been four years, which can be nothing in the life of a band, and Atavismo do retain some of the heavy psychedelic underpinnings that they began to develop into a more progressive mindset with Inerte, but Valdeinfierno is no less a leap from the last outing than that was from the first. It once more finds guitarist/vocalist/synthesist Jose “Poti” Moreno (ex-Viaje a 800, Mind! ), bassist/vocalist Mateo and drummer/vocalist Sandri Pow (also ex-Mind!) expanding their sound. They’ve expanded the lineup of the band as well, welcoming Koe on keys, synth and vocals. I’m not sure who contributes what to which parts of “La Palmosa,” “Quejigo,” “Valdeinfierno” and “Sapo Sagapo” but with the intro “Tropmetillas de la Muerte” and the outro “Etreum al ed Sallitemport” — yes, the outro is the intro backwards, in content as well as name — Valdeinfierno is all the more about progression and showcasing different sides of their personality, with each cut offering something different to stand it out from its surroundings, whether it’s the proggy shuffle of “La Palmosa” or the folk-tinged acoustic/electric blend of “Sago Sagapo” or the jam into which “Quejigo” so fluidly launches or the title-track’s sudden turn from drifting heavy psych into Iberian-folk-tinged percussion and jamming. More and more, Atavismo seem to be defining their own stylistic parameters outside of prescribed genre lines. This only suits them all the more. If we’re arguing that Valdeinfierno is an EP — and since the band says it is, basically we’re not arguing at all beyond a hypothetical — a point in favor of that position is the diversity within the tracks. Even from where they were early last year, Atavismo have taken very clear steps to move forward. That would be all well and good, except for the fact that there’s still such a flow between the songs. At 28 minutes, it could go either way– the debut, for what it’s worth, was 37, and Inerte was 42 — and the way these songs work off each other and seem to add to an overarching statement of stylized progadelic intent speaks to an LP methodology. Maybe it’s a hard sell. What matters more than what one should call it is the vibe the band takes such obvious care to present and to maintain over the course of those 28 minutes. The patient drift past the midpoint in “La Palmosa.” The brightness of the fuzz guitar blast in “Sapo Sagapo.” The slow beginning of “Valdeinfierno.” The mini-freakout of “Quejigo” with its uptempo bounce. All of these things help give the respective tracks a sense of personality of their own, and yet all of them tie the material together as well. They unite as much as they distinguish. After the wash of keyboard and plucked acoustic guitar notes and clarinet and mellotron of “Trompetillas de la Muerte” — which, by the way, is 39 seconds long — “La Palmosa” takes hold with an insistent strum and plays back and forth between fuzz-laden breaks and an immediate build of forward momentum. Keys in the background help tie together transitions, and Atavismo jam their way through a midsection break that’s the hypnotic beginning of a build, except that instead of paying it off in traditional fashion, they leave off to silence and let the start-stop riff at the core of “Quejigo” — no less danceable than its predecessor — keep the spirit moving. The drums are crucial to this as the guitar joins their rhythm and blown-out vocals mark the beginning of the first verse. Like “La Palmosa,” “Quejigo” builds its own tension, but at 3:22, it opens up to pay it off with an uptempo jam and the already-noted bounce en route to the presumed end of side A. The title-track is also the longest song on Valdeinfierno at 8:26, and in its concept, it’s the most striking inclusion of them. It works in two sections and the first of them is a lull. Gently, it rises to a serene level of volume with a patience over the course of its first two-plus minutes that feels born out of classical music, never mind prog, and when the airy guitar and drums kick in a bit before 2:30, their entry isn’t even so much a “kick in” as a “oh hi do you mind if we do this thing we promise it’ll be awesome ah cool thanks” and with what sounds an awful lot like a xylophone backing — keys? — Moreno unfurls a slow, jammy lead. By the midpoint about two minutes later, the mood is set and Atavismo set to exploring the landscape they’ve drawn, but then at 5:50 a surge of volume signals to the drums, which then begin cycles of tom runs and the guitar moves into a speedy and winding lead that seems to carry a Middle Eastern influence in its scales, but drops out after seven minutes to percussion and room-mic’ed shouts that end. That switch in volume and meter is so resoundingly important to Valdeinfierno. It’s the moment where the band proves that not only are they able to pull off different stylistic turns between their songs, but within them as well. As “Sago Sagapo” comes through with its soft keys in the background, easy lead layer behind acoustic strumming, the peaceful feel of earlier in the title-track returns, but it’s hard not to think maybe Atavismo will jump ship again and start adventuring into different terrain. They don’t, really, and “Sapo Sagapo” brings up another fuzzy solo before dropping to silence and letting “Etreum al ed Sallitemport” run backwards through the EP’s intro with all the more of a progressive feel. But the lack of predictability remains firm and it’s become one of the strongest assets Atavismo have at their disposal. Ultimately, it doesn’t matter whether Valdeinfierno is an EP or an album. It only matters to me because when I invariably salivate over what they do next, compulsion will lead me to wonder if it’s their second LP, third EP, second EP, etc. Of far greater importance is that this mini-album is precisely that: a condensed full-album flow executed over a shorter series of tracks. It acts as a showcase of Atavismo‘s growth and experimental sensibilities, but it also inevitably bridges any and all gaps between those experiments as they arise. This band makes some of the most beautiful music I’ve heard in underground psych. It’s time more people started taking notice. Atavismo will release their new EP, Valdeinfierno, on July 23 via Adansonia Records. 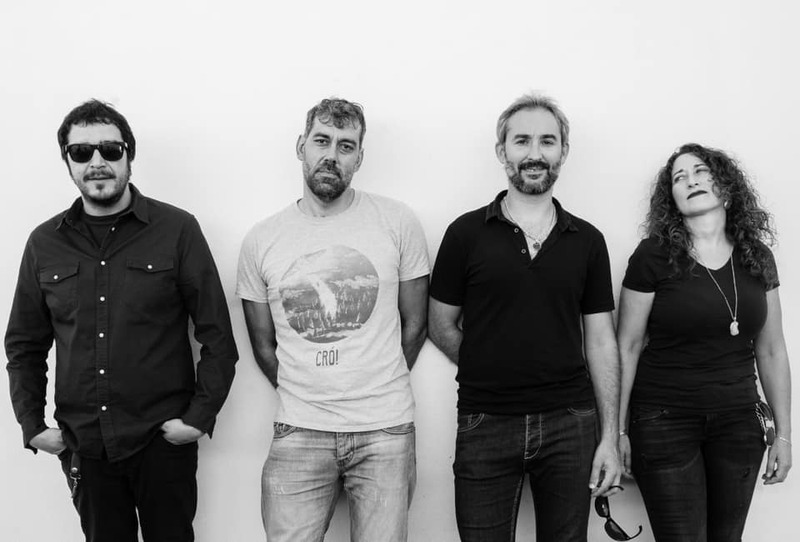 With it, the Algeciras, Spain, outfit present six tracks — well, four with an intro and outro — that to each very one, explore new territory of range and scope. From the flowing Iberian folk in “La Palmosa” to the shuffling tension of “Quejigo” to drifting into Afrobeat-inspired rhythms of the title-track to the Mellotron-inclusive fuzz-prog of “Sapo Sagapo,” Atavismo venture into deeply varied ground and feel their way through ideas both rich in tone, all over place and still somehow able to flow together as an execution of a single idea and spirit. If you have an excuse for not digging them, I’d love to hear it. 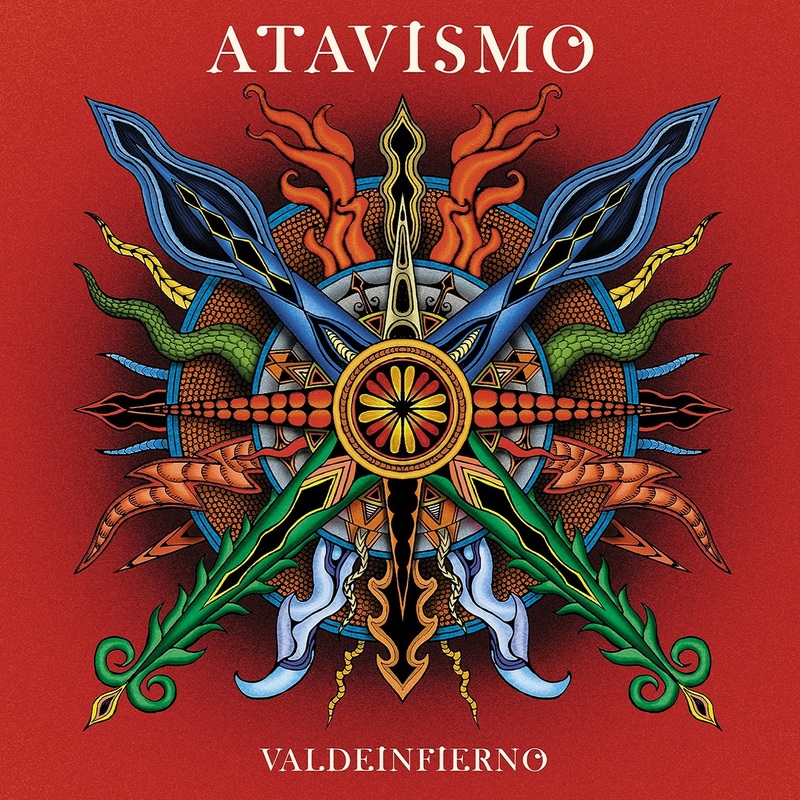 The label is new, some of the sounds are new, but Atavismo‘s identity still comes through strong on Valdeinfierno — it just so happens that all that exploration is a huge part of it. Check back July 20 for a review and full stream of the EP, but in the meantime, I’m happy to host the unveiling of “La Palmosa, which you’ll find at the bottom of this post. Led into by the intro “Trompetillas de la Muerte” — which appears backwards as the EP’s outro, “Eteum al ed Sallitepmort” — it presents a fuzzy roll and intricacy that only reveals itself more with subsequent listens, whether it’s the percussion deeper in the mix or the vocal harmonies atop. I sincerely hope you enjoy it and stay tuned for more. This EP was recorded in October 2017 and April 2018 in Trafalgar Studios, the place we always use to record all our stuff. Recorded by Curro Ureba. Only one song (called Sapo Sagapo) was recorded in Tagarnina Studios by Océano Galindo (aka Jose Angel Galindo, the guitarist of Viaje a 800). The mastering was made by DJM in “Studio Fleisch” (Germany). The release of the album will be on 23th July, and, exceptionally, this album will be released by Adansonia records (Germany). The simple fact is that Viaje a 800 were years ahead of their time. Years. After their Diablo Roto De… debut in 2001, the band took more than half a decade to deliver a follow-up in Estampida de Trombones, but they made that wait absolutely worth it. Rife with memorable songs that crossed any and all language barriers with their fludity of groove and memorable melodies, it was a record that, if it came out today in the sphere of social media word-of-mouth, would have them headlining tours and digging into slots at one festival after the next. Don’t believe me? Listen to the record. You’ll understand. Estampida de Trombones is being given a get-it-while-you-can limited vinyl repressing through Spinda Records that’s up for preorder now and officially out June 5. If there’s any justice in the universe, they’ll be long gone by the time June gets here. Make that happen. The stampede returns … YELL! Exhausted years ago, with skyrocketing prices in the second-hand market and over time become an authentic cult album among the followers of progressive rock, stoner or psychedelic rock, ‘Estampida de trombones’ from Viaje a 800 is re-edited these days through the independent label Spinda Records. 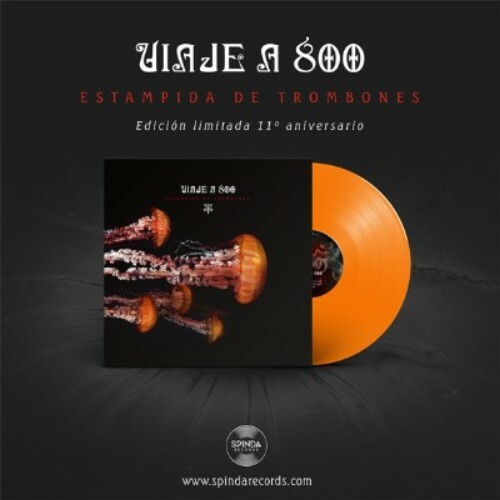 ‘Estampida de Trombones’ 11th Anniversary Numbered-Limited Edition Orange-Translucent 12″ Vinyl, including new artwork and lyrics. Music & Lyrics by Viaje a 800. Special guests: Andeas Papandreus (‘Cáncer Bahía’) & Curro Snortil (‘Estampida de Trombones’). Produced by Viaje a 800 & Spinda Records. Recorded & Mixed at La Casa del Perro (Algeciras) by Curro Snortil. Mastering by J.M. Sagrisa at Estudios Punta Paloma (Tarifa). There goes another 0.080 seconds.